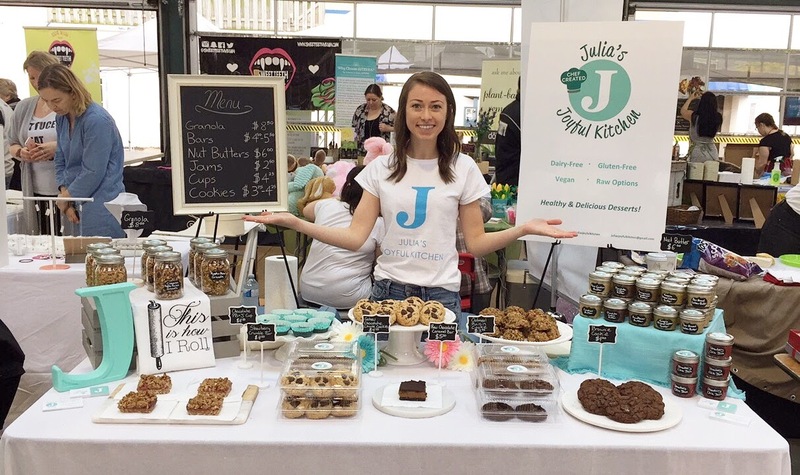 Julia’s Joyful Kitchen is dedicated to creating nourishing, decadent and guilt-free treats! Chef Julia Rochon is the creator behind Julia’s Joyful Kitchen. She started JJK with the desire to change the way desserts are perceived. She wants to be able to have a delicious treat everyday, without the sugar crash that follows. Julia’s Joyful Kitchen provides nutrient-packed treats full of protein and fibre. All treats are made with natural sweeteners, no fillers and no nonsense! Julia’s love of food and baking started at a very young age. At the age of three, Julia discovered that she had a dairy allergy and gluten sensitivity. At that time food alternatives were not as common as they are today. Julia’s family had to drive her to a speciality store an hour away to buy dairy-free products and it was near impossible to find baked goods. This is when Julia’s passion for baking started! She learned how to substitute and combine natural ingredients to create healthy and incredibly mouth-watering goods! Chef Julia graduated culinary school and is in the process of becoming a Certified Holistic Nutritionist (CNP). This has driven Julia to follow her dream of opening her own bakery to both inspire and educate the community. We believe that life should be full of joy and that joy starts on the inside. We hope to share our passion with you. Enjoy our delicious treats and choose to be joyful!